Turkish Convention, 1913, and marked in blue on map 2 annexed thereto. 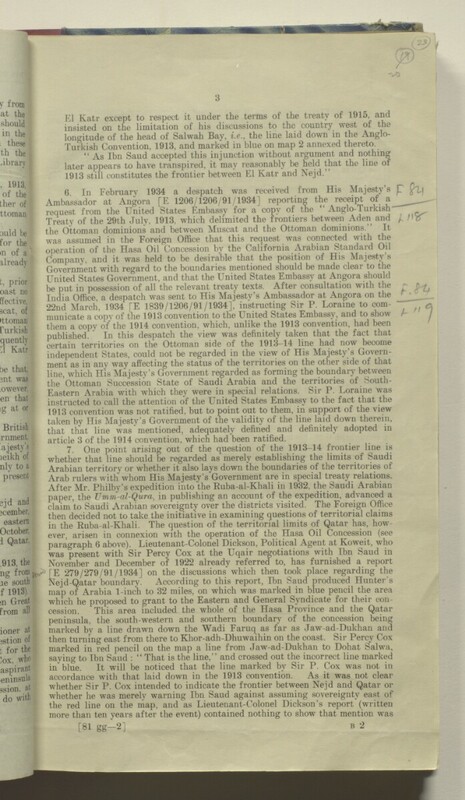 Treaty of the 29th July, 1913, which delimited the frontiers between Aden and /. article 3 of the 1914 convention, which had been ratified. Arab rulers with whom His Majesty’s Government are in special treaty relations.